Our doors and windows are pre made and ready to ship. Steel & Smith provide steel framed windows and doors in a range of designs. We have two sizes, one for a standard height ceiling and a taller door & window set to take advantage of lofty ceilings. We believe in beautiful, strong, elegant design. Our products are affordable and without compromise. Hand made in Australia by our talented steel smith and designed by leading interior designer and architect Alana Cooke. For over 45 years, Stan Bond has been proudly South Australian owned and operated manufacturing a range of window furnishings and security screens. Throughout this time, we have remained a family owned business and stayed true to our family values of locally manufactured, high quality, value for money blinds, awnings and security products. The business is now managed by the son and daughter-in-law of the original owners, so the company has a strong sense of combining the best of the old together with the latest design ideas. We always put our customers' needs first – tailoring our comprehensive range of services to any personal style, budget, materials and spaces in mind. We combine the traditional values of customer service, with the latest technology, to provide a whole range of screen and shade solutions. 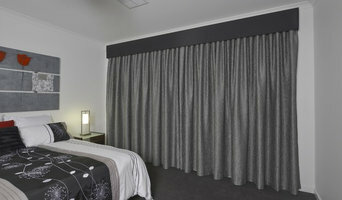 We now offer Adelaide's most extensive range of indoor and outdoor blinds, curtains and soft furnishings, awnings, Crimsafe® security screens and 3M Window Film. We are proud to partner with a number of well known brands including Crimsafe, 3M, Somfy Motorisation, Zipscreen Outdoor Blinds and Ziptrak Blind systems – bringing the best from around the world to the Adelaide market. With over 90% of our products made in our manufacturing plant right here in our home state, we've helped thousands of South Australians renovate or improve their dream homes – which has helped employ hundreds of staff, keeping manufacturing jobs here in our state. Visit our display centre in Adelaide's North Eastern suburb of Campbelltown or if you'd like to organise for one of our consultants to visit you for an in-house measure and quote, please call us on (08) 8336 2066. We specialise in DIY uPVC Bifold Doors and Windows. Dilena Brothers Crash Repairs in Adelaide treats your car with respect. We specialise in scratch repair in Adelaide, as well as crash repairs. Looking for more details about Car Scratch Repairs in Adelaide call us: 0883373797 OR visit our website: <a rel="nofollow" target="_blank" href="http://www.dilenabrothers.com.au">http://www.dilenabrothers.com.au</a>. 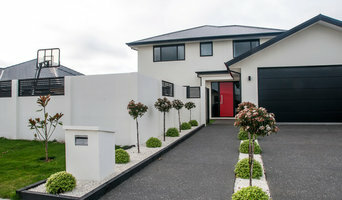 If looking at all the different styles, materials, types and sizes of doors makes you feel like you’re lost in a labyrinth of locked doors, then don’t despair; Green Hills, SA, AU door manufacturers and door suppliers are available on Houzz to help design, build and install all sorts of doors. You can find photos of their previous work, reviews, recommendations and ratings from clients, and contact information so you can speak directly to any Green Hills door makers you find that you think can help with your project. You might find that your door suppliers or manufacturers can help with your window frames, garage doors or other contractor work, or they may be able to put you in touch with other professionals they work with regularly. Here are some related professionals and vendors to complement the work of doors: Cladding & Exterior Contractors, Garage Doors, Home Builders, Design & Build, Artists & Artisans. For external doors, it’s usually advisable to go for something durable and insulated. Composite door manufacturers in Green Hills, SA, AU will make doors from a number of materials, usually wood inside and a more protective outer layer, so they are versatile and well suited to being used as back or front doors. You can choose from stable doors, panel doors, half-glazed doors or doors with intricate stained glass panels, in all sorts of colours and stains, and, if well-fitted, your composite door will still stand up to any weather. It’s always advisable to talk to your local Green Hills, SA, AU door suppliers about the different materials, styles and types of doors on offer so they can tell you in more detail the advantages and suitability of all the doors you’re looking at. Door manufacturers can help with more than just your front door and internal doors - if you have a garden, there are a number of options for accessing it. Large glass doors can be really dramatic and bi-fold doors are a popular choice at the moment because they can completely disappear and open up a room to the outside. If you don’t quite have the budget to install bifold doors, patio doors or french doors can still bring in lots of light from your garden into your home. Talk to Green Hills, SA, AU door makers about what they think could work for your home renovation project. Why should I hire Green Hills, SA, AU door manufacturers or specialists? Find door suppliers and makers on Houzz. 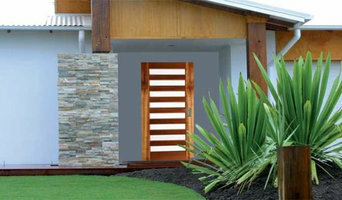 Look in the Professionals section of our website and search for Green Hills, SA, AU door manufacturers and suppliers. Read reviews, look at project photos and see how a door professional can help your Green Hills, SA, AU home improvement project.